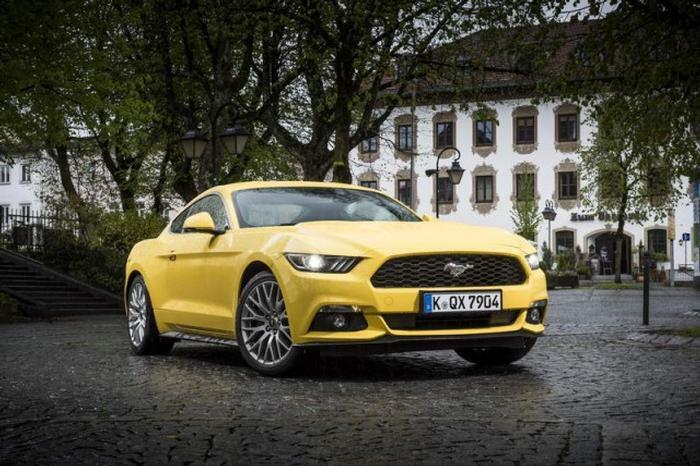 This is the Carzone.ie guide to buying a used Ford Mustang. As motoring icons go, they don’t come much bigger – or more recognisable – than Ford’s evergreen Mustang. A muscle car in the classic sense, it was finally brought (officially) to right-hand-drive markets with the launch of the 2015 sixth-generation version, which is available as both a Coupe and a Convertible. It has always been all about the style and poise with the Mustang, which aims to offer lots of performance for not a lot of cash, and the Mk6 makes a tempting used proposition. Ford originally launched the rear-wheel-drive Mk6 with two engines – a four-cylinder, 2.3-litre EcoBoost turbocharged petrol unit with 317hp/432Nm and a 5.0-litre, normally aspirated V8, delivering 421hp and 530Nm… and plenty of wonderful V8 noise, too. Either of these engines could be installed in the cheaper Coupe body shell or the Convertible, and while both came with a six-speed manual gearbox as standard, a six-speed automatic transmission was an option, too. However, following a very poor Euro NCAP result in its original crash test (where it gained just two stars, due to its lack of safety technology like lane keeping assist and autonomous braking), Ford overhauled the Mustang in late 2017 for the 2018MY, giving it facelifted looks, a digital instrument cluster, more safety kit as standard (although it still only garnered a three-star Euro NCAP rating when it was reassessed at the end of 2017) and some changes to the mechanicals. Both the 2.3 EcoBoost and 5.0 V8 continued, but the 2.3’s power dropped to 290hp (torque marginally increased, by way of compensation, to 440Nm), while the V8’s output increased to 450hp (with torque pegged at 530Nm). Intriguingly, the six-speed automatic was replaced by Ford’s new ten-speed auto during the facelift, and while it might seem needlessly over-endowed in the ratio department, it’s actually an impressively slick unit. Finally, in late 2018, Ford offered a limited run of special models of the Coupe, based on the famous car used in the Steve McQueen film, Bullitt. Using an enhanced version of the V8, rated at 460hp, various features on the 2018 Mustang Bullitt aped the cinematic car, such as its white spherical shift knob, the black alloys and the chance to have it in Highland Green. Just 350 right-hand-drive examples were confirmed for the UK market and they sold out very quickly, so the chances of finding one imported to Ireland on the used market are very slim. The whole reason the 2.3 EcoBoost exists is because the 5.0-litre V8 version is profligate with fuel, making it very expensive to run. However, that said, the V8 was not hugely more expensive than the 2.3 to buy and that remains the story on the used market… and, after all, if you’re after the full Mustang experience, then you really need the 5.0-litre model. The Coupe is a nicer car to drive, the facelift models are safer in the event of an accident and, while the ten-speed automatic is a fine transmission, a six-speed manual is definitely the way to go. The whole point of the Ford Mustang is its incontrovertible character – yes, there are more polished and talented rivals out there from European marques, but for the same money as the Mustang would set you back, they use plain 2.0-litre engines and lack for some of the Ford’s comfort equipment. If you want to make a style statement and yet end up with a thoroughly enjoyable car as a result, there’s little to touch the charismatic Mustang.